Aged in french (85%) and american (15% ) oak for 9 months. In bottle for 6 months. Aging potential: 5 years. variety of wines from the same vineyard. The drip irrigation system uses water from the melting of the high peaks. Produced in concrete ovoid tanks with a cold maceration for 72 hours. 7-day fermentation with native yeasts to preserve the influence of its terroir. Total maceration 21 days. Aging: aged in french (85%) and American (15%) oak for 9 months. In bottle for 6 months. Suitable for 5 years aging. Because of the variety of our soil and the rain we could harvest our Malbec at different times. 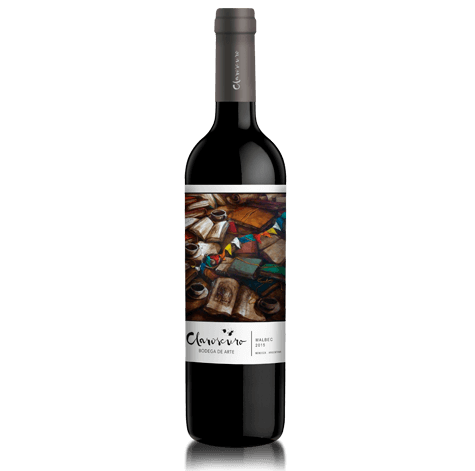 Claroscuro Malbec 2015 is a wine with character and marked aromas of flowers, predominantly black fruit (blackberry, cherry). On the palate, it presents more rounded tannins and lower acidity that highlight the smoothness. “Sábado por la mañana” by Laura Rudman.